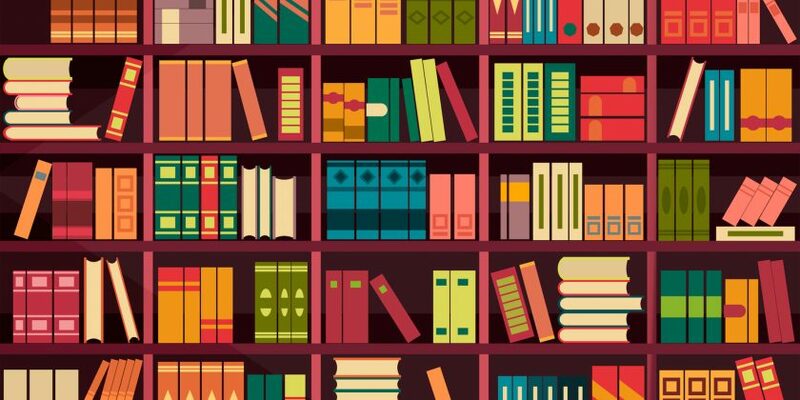 Looking for some unforgettable stories to add to your reading list or movie queue? IPL faculty, students, and staff share the books and films that best capture the experiences of immigrants and refugees around the world. 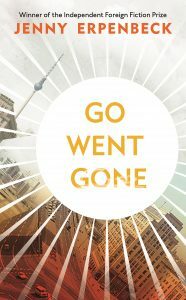 Richard, a widower living in Berlin, witnesses African refugees staging a hunger strike and is jolted out of his comfortable routine. Moved by their plight, he tries to help them and along the way experiences renewal in his own life. 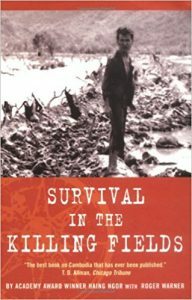 In this memoir of the Cambodian civil war, Haing Ngor relates his struggle to survive after the Khmer Rouge came to power, his journey to the United States as a refugee, and his experience as a novice actor in the 1984 film The Killing Fields—a role that won him an Academy Award nomination. 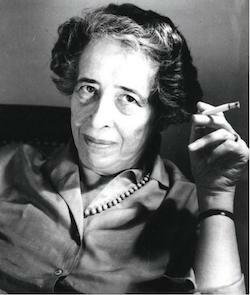 Philosopher Hannah Arendt’s 1943 essay on the refugee experience is a bracing read at a time when unprecedented numbers of people worldwide have been forcibly displaced. 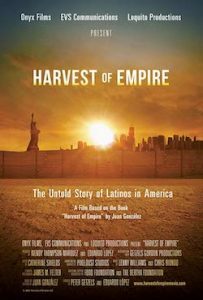 This 2012 documentary, based on Juan González’s book of the same name, takes viewers through the turbulent history that drove immigration from Latin America to the United States. 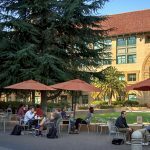 The film explores conflicts in Nicaragua, El Salvador, Guatemala, Mexico, and other countries, as journalistic accounts of political struggles and civil wars alternate with personal stories from immigrants who joined the exodus north. Identical twin brothers are forced to flee their home in El Salvador when a gang-affiliated uncle issues a death threat against one of them. A harrowing journey in the hands of smugglers brings the teenagers to the San Francisco Bay Area, where they strive to earn a living, pay their family’s debt, secure legal status, and navigate high school and life in America. 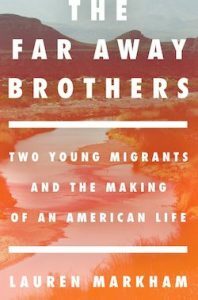 Author Lauren Markham, who was their school counselor, pairs their story with detailed background on U.S. immigration policy and involvement in El Salvador. 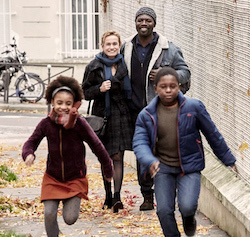 The indignities and frustrations of a baffling asylum system come to life in this film from Mahamat Saleh Haroun, a Chadian director who turns the camera on his adopted home of France. During the long wait for a decision on his asylum application, Abbas lives with his two children in a series of hostels and halfway houses, works in a fruit market, and begins a relationship with a French woman. When the decision finally comes, the couple must make a difficult decision with life-altering consequences. Renowned Chinese artist Ai Weiwei took on a new medium to explore the global refugee crisis. 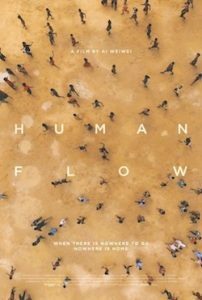 In his first turn as a director and producer, he used iPhones and drones to capture the plight of refugees in 23 countries. From rescues at sea to sprawling refugee camps and tense standoffs at heavily guarded borders, the film conveys the overwhelming scope of the crisis with arresting imagery. In the wake of Sri Lanka’s civil war, a former Tamil Tiger fighter seeks safety and a fresh start in Europe. 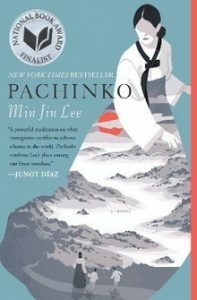 He is joined in flight by a young woman and child, and they pose as a family as they settle in France, developing true familial bonds along the way. 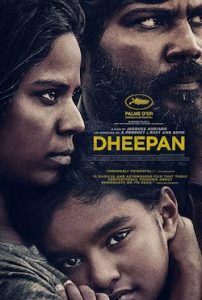 What begins as a quiet meditation on their daily challenges to acclimate turns into a potent thriller as Dheepan runs afoul of a local gang, triggering his military instincts and latent post-traumatic stress disorder. From director Jacques Audiard, the film won the Palme D’Or at the 2015 Cannes Film Festival. At the height of the refugee crisis in Europe, more than 21,000 people landed on the remote Italian island of Lampedusa in a single year. What was that like for the locals who met the boats and rescued the drowning? 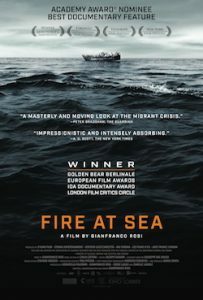 Gianfranco Rosi’s documentary introduces us to Samuele, a 12-year-old boy from a family of fishermen, Pietro, a local doctor who provides medical care to the refugees, and members of the Italian coast guard on search and rescue missions. Unlike a conventional documentary, Fire at Seais impressionistic and immersive, offering loosely structured slices of life on the island with minimal editing and no commentary. By abandoning the cinematic formula for “raising awareness”, Rosi gives us a deeper understanding of life on the island and how migration has altered it.